On a recent Sunday, The Gastronomer needed to get caught up on the virtual world, so we drove around District 4 looking for a free WIFI spot. After the local coffee shop let us down, she suggested that we try the Filipino burger chain Jollibee. I feel obligated to eventually sample each of Southeast Asia’s attempts at American-style fast food—plus Jolli’s mascot blows Ronald McDonald out of the water—so I agreed. I stood at the counter weighing my options for some time. Jollibee’s combo meals are slightly cheaper than Lotteria’s (the current leader in the Vietnamese fast food market), and their hamburger looks equally unappetizing. Other menu options included hot dogs, soft serve ice cream, and spaghetti with marinara sauce. Four boys at a table next to us ordered the latter, and it looked terrible—straight out of a bad elementary school cafeteria. 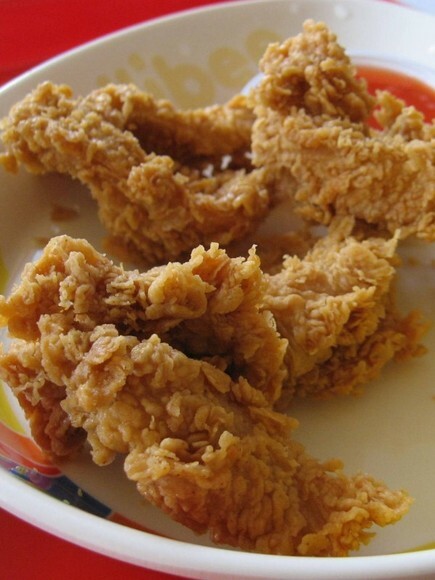 The most appealing possibility by far was the fried chicken, available in several forms. I settled on the original style chicken tenders. I didn’t particularly want a soda, so I initially ordered only tenders and French fries (in evaluating a new fast food restaurant it is absolutely essential to sample the fries), only to find that adding a drink would actually decrease the price of my meal. Go figure—I have a feeling the portion of fries included with the combo meal may be tinier than the smallest bag one can order by itself, or maybe logic just can’t explain it. Fortunately I took seven semesters of economics in college, so I knew what to do. The fries and Pepsi came out first. This was a good sign, evidence of the fact that fast food restaurants here actually make most of the food to order. I dug in—the fries resembled the classic fast food fry in look and texture, but they arrived only lukewarm and were barely seasoned. In this situation a large dose of ketchup can usually save the day, but sadly none was provided; instead I received a dish of Vietnamese chili sauce. This is probably just fine with most of their customers, but I don’t really like the stuff. 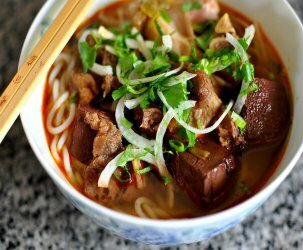 Perhaps the most vital Vietnamese phrase I’ve learned so far is “dung cho ot.” I barely dipped the tip of each fry in the sauce and tried to strike a balance between blandness and unpleasant chili flavor. At this point, I was not enjoying myself and kind of resented The Gastronomer for bringing me there and bamboozling me into buying something so she could surf the web. Fortunately, the chicken tenders arrived hot and crispy. I bit into one and found them slightly superior to the version served in stadiums and arenas across America. This may not sound like high praise, but those trans-fat-soaked babies are pretty damn good. Like nearly all meats in Vietnam, the Jollibee tenders were scrawnier than those back home, but I found them to be quite satisfying and flavorful enough to enjoy without the addition of chili sauce. 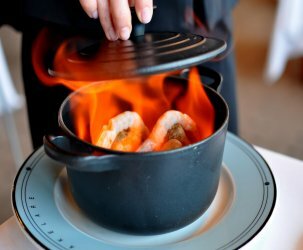 I even convinced The Gastronomer to try a bite, and she admitted to enjoying the garlicky seasoning. Will I return to Jollibee? Most likely not—I’ve trained myself to distrust fast food, and I can still get a better deal on fried chicken from a Vietnamese place. However, in a pinch one could do much worse than their chicken tenders. I expect the spicy fried chicken is tasty as well. Stay tuned for comparisons with the competitors. “Fortunately I took seven semesters of economics in college, so I knew what to do.” Ha ha ha! You _are_ a clever chap. Nothing personal, but is it just me or is there a soccer ball stuck to your leg whilst you befriend that jolly bee? What is with the small serving portions of fries in Vietnam? I get the feeling they lovingly craft each individual fry by hand. You say this is a chain? It can’t be the same jollibee that also resides in Hollywood can it? I finally got my account working properly on the new website, so I can respond to comments now. Hooray! Thanks so much for all your help with the site. Ben – If these were crafted by hand, it was a waste of their time. I think the portion size just reflects what people expect right now–they haven’t yet learned to crave 600 calories of deep-fried potatoes in a single meal. Juli – I did a little research on the internet, and you know what… I think it is the same! Crazy. It’s from the Philippines, and it’s taking the world by storm. I actually can’t quite believe that it can survive in America, but maybe the menu is different than in Vietnam. most of us loves food, it is one of mankind’s greatest pleasures, because of its yummy taste specially when it was your favorite. Translate nyo nalang para maintindihan nyo kasi di nyo rin naman alam kung anong meaning ng pagkain sa mundo…mga sosyal…. Since most Jollibee branches overseas i.e. Vietnam, US, Hongkong, the middle east etc. 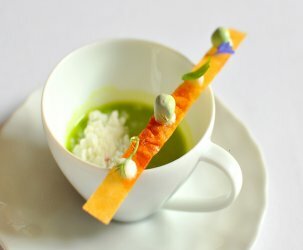 are local franchisees they tend to tweak the food a little to suit the local palate. And Jollibee is usually open to the idea and in fact encourages it. I wouldn’t be surprised if even Filipinos themselves who reside abroad find the taste differently or watered down just to comply with food regulations in the host countries. 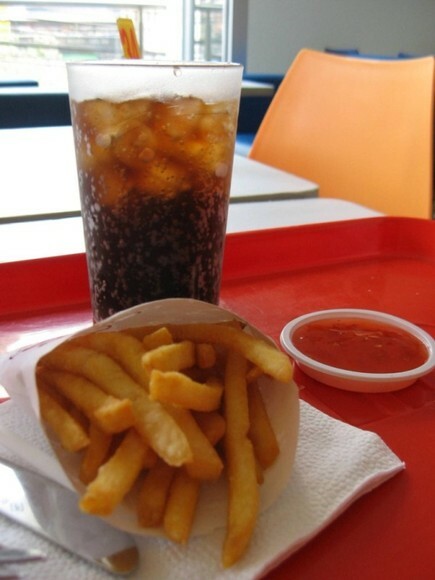 As an example the branches in the Philippines usually serve regular ketchup for the fries along with options for salt and pepper. 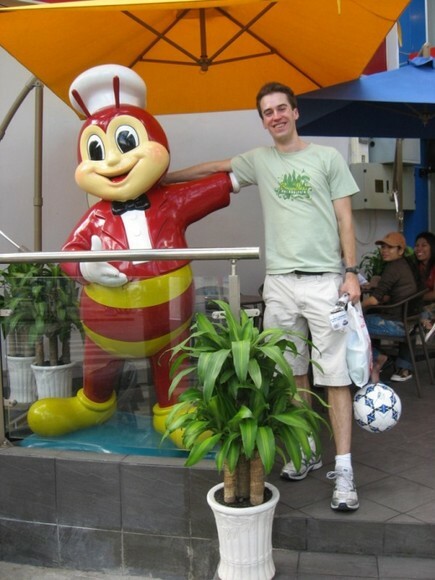 Jollibee is a juggernaut in the Philippines. At one point in the country, its sales were bigger than McDonalds, Wendy’s, and Kfc combined. 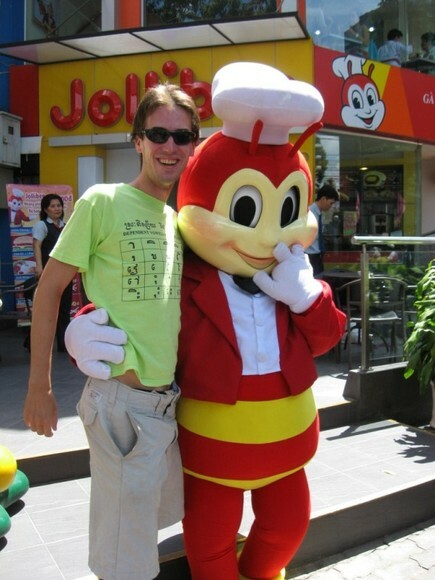 Jolibee is McDonalds’ version in the PHilippines and conquering the world. Proud to be Pinoy! been to jollibee hcmc also, its very different from the original Jollibee in the Philippines. The original is still the best it seems they change the original recipe and adjust it to the taste of its country, thats why maybe for the other it works and for some its really bad. I still prefer the original tho.